China Glaze Nail Polish, Don't Get Derailed, 1320, .50 fl. oz. 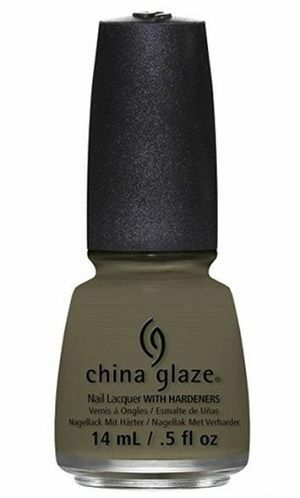 Muted army green creme nail color with subtle gray undertones. China Glaze All Aboard Collection.